Joo Hee Lee & Mrs. Jung Sook Lee. CIDA would like to initiate a community discussion related to the issues and unique needs of girls and women with disabilities. As our first effort, we proudly introduce Joo Hee Lee and her mother Mrs. Jung Sook Lee. 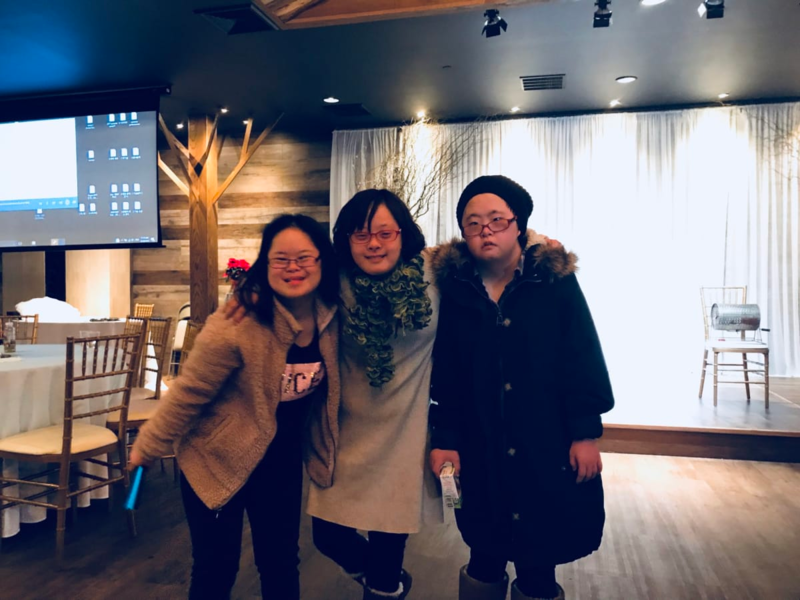 Joo Hee is a 16 year old girl with Down syndrome and a two times winner of CIDA’s Very Special Art Festival in 2016 and 2017. Joo Hee not only likes to paint but she also loves to speak, sing and dance. However, since she was going through puberty, the whole family has experienced tough times. She suddenly stopped speaking and just wanted to be left alone. The Lee Family has moved her to a different school, had Joo Hee undergo a variety of clinical tests and do everything they can do to find out what was wrong. Then, Joo Hee started to receive art therapy together with clinical consultation. She now asks her family to take a look at her art and has shown some improvements. Mrs. Lee says that the positive changes began after the two times winning at the CIDA’s art festival. It seemed the attention from many people gave her the opportunity to feel proud and confident about herself. Also, after enjoying the hip hop dance competition at CIDA’s New Year Party, she recently joined a dance school. The family is now focusing on figuring out what Joo Hee likes to do, and assisting growing her talent for her future. 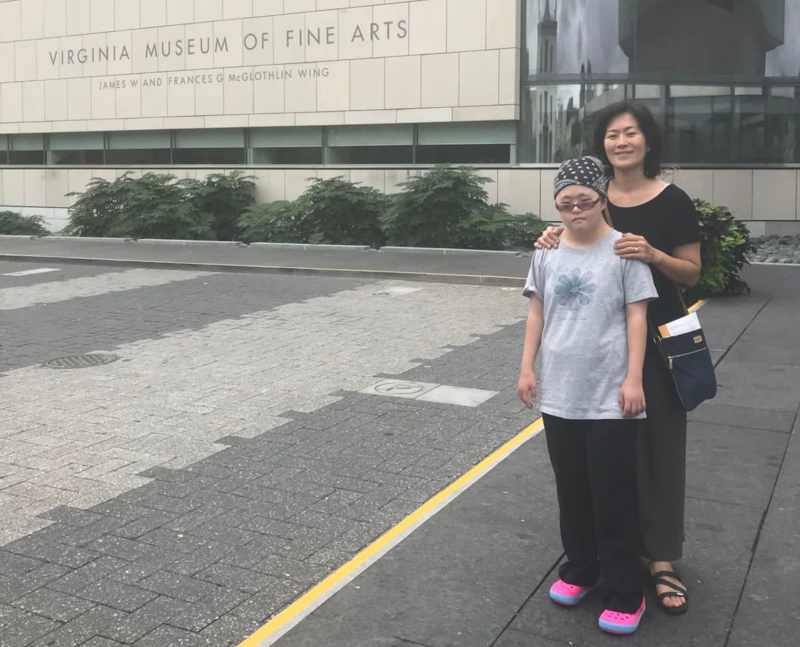 As a parent of a girl with a disability who is growing into a woman, Mrs. Lee realizes her limits to help her daughter’s future, and it is the most challenging thing that she has endured. Although Joo Hee is safe under the family’s care at the moment, Mrs. Lee continually worries for Joo Hee’s well-being as a woman, and whether or not her talents are acknowledged in the community. 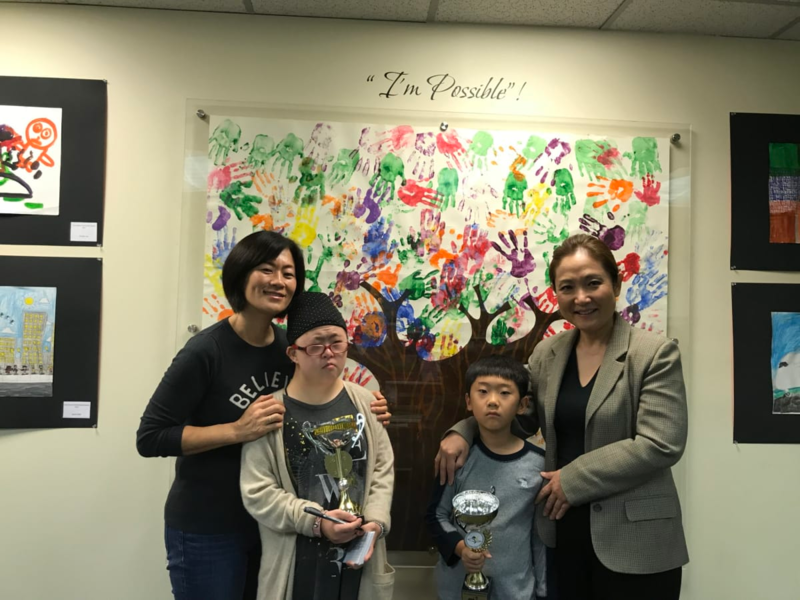 Despite all her worries, Mrs. Lee says that Joo Hee still loves to draw and express her feelings through art, and her family will do everything they can help her live an independent life in the community. Finally, she added that she wishes the whole community give more attention to young women with disabilities and help them live independent and safe lives. CIDA gives a big cheer to Joo Hee and the Lee family, and wishes all the best!